What Are Some Basic Paralegal Duties? Home / Job Description / What Are Some Paralegal Duties And Responsibilities? What Are Some Paralegal Duties And Responsibilities? Paralegals perform a variety of duties to provide support in the legal field. They typically work for law firms, courts, corporations, or other government entities. Often behind the scenes, they are entrusted to ensure legal matters are handled properly. Depending on the legal setting, paralegal duties can encompass a wide variety of tasks. The most common task is to maintain case files and keep them updated. Paralegals may be responsible for writing correspondence, interviewing clients and witnesses, preparing and answering discovery requests, scheduling depositions, and writing legal documents. Some paralegals may assist attorneys at court hearings and trials. 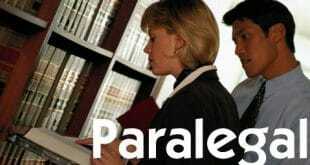 The paralegal is often the liaison between the attorneys, clients, and courts. Paralegal duties can vary based on the legal setting and the size of the law firm. In smaller firms, paralegals handle almost every aspect of a case. They help prepare legal documents, file documents with the courts, interact with clients and opposing counsel, investigate facts, and conduct legal research. Larger firms often assign paralegals to perform specific tasks. A contract paralegal deals with writing contracts. A litigation paralegal deals with cases that are set for court hearings or trials. If a case is large enough, there may be several paralegals assigned to handle each aspect of the case, such as preparing and answering discovery, preparing trial notebooks and exhibits, or conducting legal research. Paralegals with advanced schooling or a degree generally receive tasks with more responsibility. In a court setting, paralegal duties are more centered on maintaining case files. They must ensure all legal documents are properly and timely filed by both parties to the case. They keep the calendar and court cases accurate for the judge. They answer questions from the law firms involved in the case and make sure all the proper legal channels are being followed throughout the case. An Independent paralegal does not work directly for attorneys or law firms. They basically prepare documents for citizens that cannot afford to pay attorneys. It is important to understand the fine line between providing basic information and giving legal advice. Independent paralegals typically assist clients in filling out legal forms and properly filing them with the court. Paralegal Hours: Long Or Not? Most paralegals work full-time hours in salaried positions. Depending on the size of the law firm and the magnitude of the case load, paralegal hours may vary or they may be required to work extended hours. Some may only be asked to work long hours prior to a trial, while others may be expected to work long hours indefinitely. Paralegal work entails a large amount of paperwork and interacting with people. Paralegals must be very detail oriented and able to multi-task with speed and accuracy. 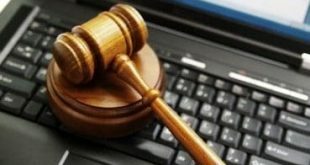 Previous Online Paralegal Degree: Super Convenient Or Waste Of Money? Next Is A Paralegal Internship Paid?